Make your projections magically interactive. Surprise, with a very personal touch! In real time, you can start and stop your projection shows with just one click as well as you can change the projection position and media content that are being projected. 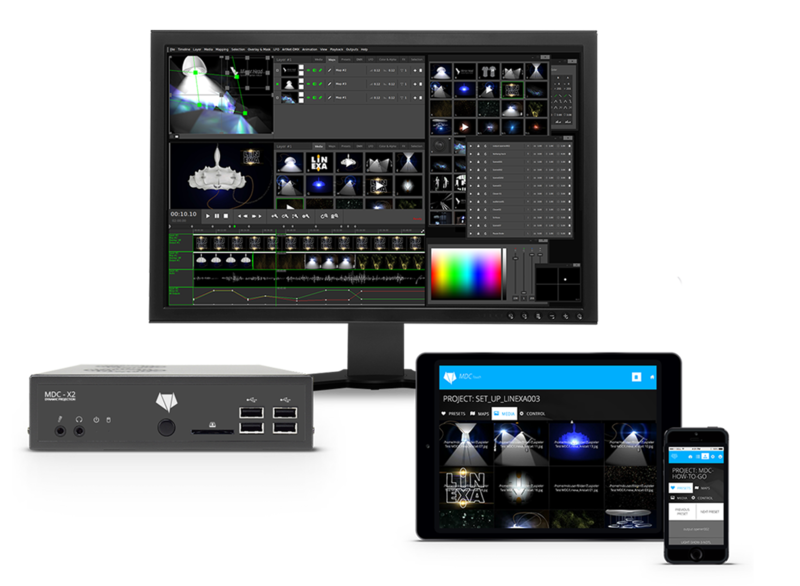 With the MDC-Touch, you are also able to modify and launch show automatizations. 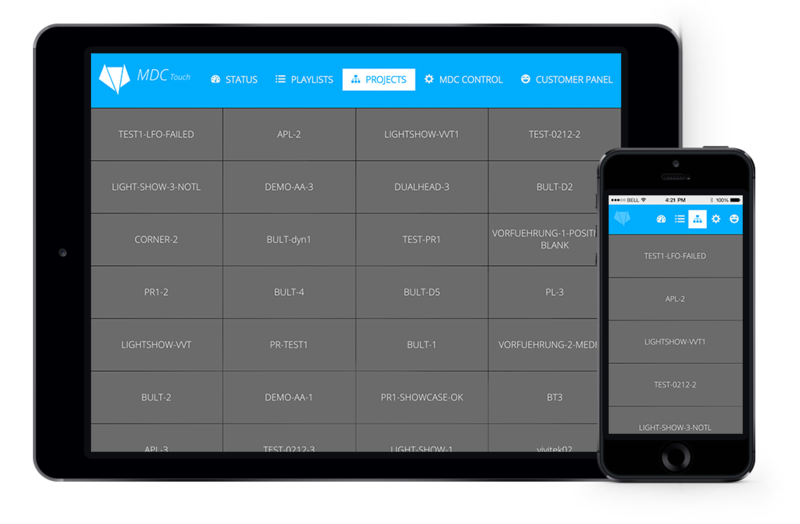 MDC-Touch allows customers to remotely control the MDC-X Media Server using any device that has a browser (e.g. smartphones, tablets or desktop computers). 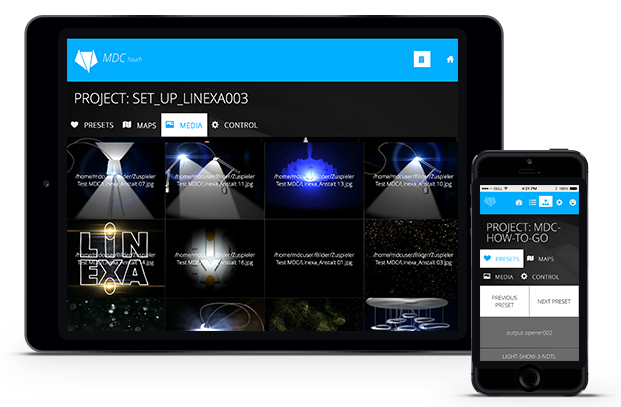 As the MDC-Touch developed by Dynamic Projection Institute is a web-interface app, you do not need to install any software or application, simply use any device that has a web-browser. • Start and stop your projects and playlists with one click. • Easily switch between automatic and manual shows. • “Customer Panel” for easy grouping of common tasks. • Responsive Design – Use any screen or any device. MDC Touch User Manual: click here to download the PDF.